When you think of barbeque, what cities come to mind? Austin? Nashville? St. Louis? How about Ann Arbor? If you think this just turned into a game of “one of these things is not like the other”, you might be surprised. 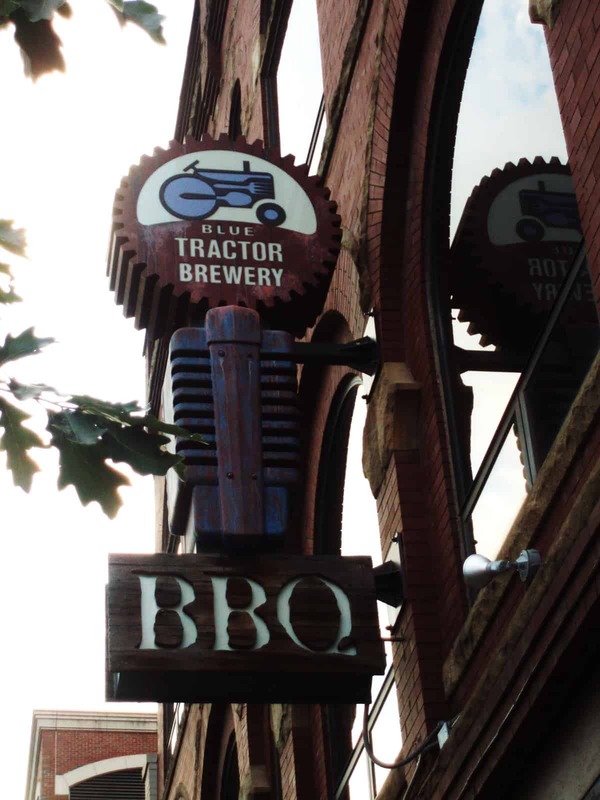 The Blue Tractor Barbeque and Brewery in Ann Arbor has been creating converts to their unique BBQ brand at a breakneck pace ever since their 2008 opening on East Washington in downtown. But the Blue Tractor you’ll visit today has come a long way from the joint that opened four years ago. Their menu and space have evolved to suit the clientele and has made them one of the most noteworthy new kids on the block. Earlier this year they expanded into the space formerly occupied by Café Habana and gained seating for over 100 additional guests; a much needed adjustment as word spread of the smoky and saucy tidbits that awaited inside. But it isn’t just the dining area that has expanded; it’s what you’re lucky enough to dine on. The freshly revamped menu keeps everyone’s BBQ must haves like fried pickles, pulled pork, and monster slabs of ribs, but it doesn’t stop there. Their new menu items took a cue from the United Nations and brought together unexpected flavors from all over the world. Things like chili-ginger spare ribs, balsamic baked beans, and the bulgogi burger can’t be found anywhere else, and are a rare treat for those with a globe-trotting palate. 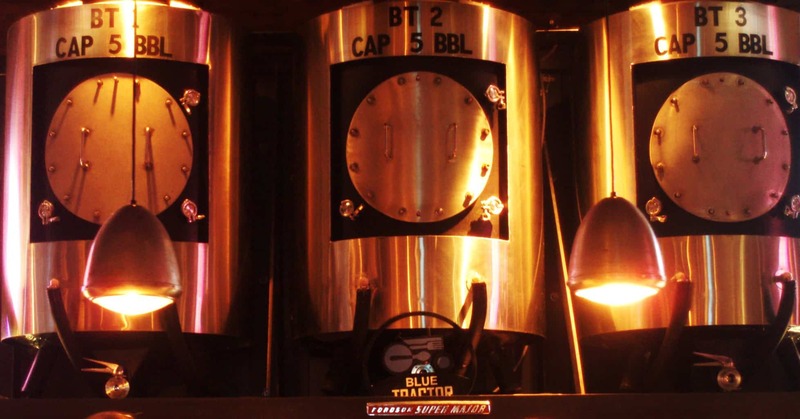 With all the spice on tap for a visitor at Blue Tractor, you’re going to want something to wash that down, which brings us to the other half of their one-two punch: brewmastery. On tap at the moment are award winners like the Bearded Pig Pilsner, Bumper Crop IPA, Sudworth Bock and an ever changing cast of seasonal brews. Each beer is lovingly crafted in house and just can’t be beat when you need to beat the heat. Even if beer isn’t your thing, there is an impressive array of pleasantly potent cocktails awaiting you when you belly up to the bar. The “porch swing hooch” (Jeremiah Weed Sweet Tea Vodka, Absolute Citron and lemonade) and the “Bay of Pigs” (Malibu rum, spiced rum, light rum, triple sec, and pineapple juice) are both stand outs. Bourbon and rye are also some lusty accompaniments to the BBQ fare, for the strong of heart. But what if you love top-shelf barbeque but would prefer to lick the sauce off your fingers in the privacy of your home? Blue Tractor Barbeque and Brewery has you covered. The new carry-out hot deli offerings include baby back ribs and beef brisket in a jiffy! 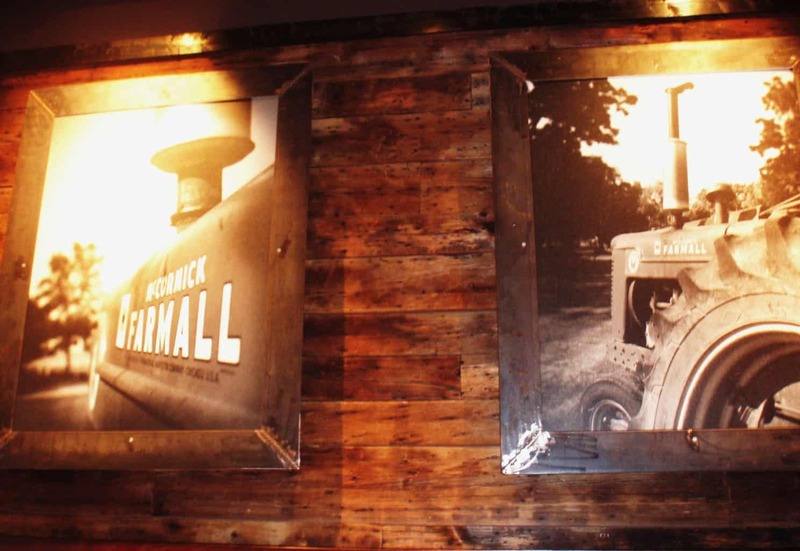 If you’re in the mood to stick around however you can make your way down to their basement to check out the newly opened “Mash” whiskey and beer bar where the host special events. Music will be a huge draw with the Laith Al-Saadi Trio and Jetty Jae scheduled to perform weekly. Beef, Beer, and Blues…what more could one person want? To learn more about the Blue Tractor and their upcoming specials, visit them on their website, Facebook page, and Twitter account. Tagged American, Ann Arbor, ann arbor, tag1.